Today we have some very exciting news: Craig Carpenter has joined X1 as our new CEO. Craig is a seasoned and experienced executive in the eDiscovery and information governance arena, holding several senior executive positions throughout his impressive career, including CEO, EVP of Sales, CMO, COO, and General Counsel. Craig was an early executive team member of one of the pioneers of eDiscovery software, Recommind, and a key part of that story from startup to creation of an industry-leading brand. Besides being a well-known thought leader in eDiscovery, Craig also has forensic technology experience as he served as Chief Marketing Officer and COO of AccessData. 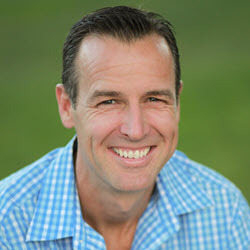 Craig began his career as a practicing attorney. He earned both his Juris Doctor and MBA from Santa Clara University (my law school alma mater) and completed his undergraduate studies at UCLA, where he played quarterback on the Bruins’ Pac-10 championship football team. A team, which I might add, could really use his help this season, but I digress. And speaking of interesting blog posts, look for even more quality content on this site as Craig will be a featured co-blogger going forward. For now, I am very excited to welcome Craig onboard to take the X1 helm!